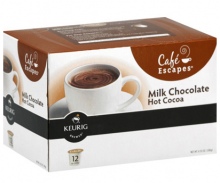 Do I need to remind you about my addition to Coffee-mate? I think I’ve told you a gazillion times it’s my favorite bad habit. 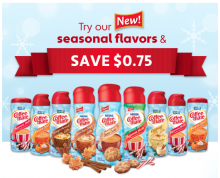 Head over to Facebook and get a $0.75/1 printable coupon to use on Coffee-mate creamer! They will only be giving out 100,000 coupons, so make sure to get yours now! Although I’m a hazelnut girl, they now have flavors like Brown Sugar Maple Latte, Warm Cinnamon Sugar Cookie, and Sugar Free Peppermint Mocha for you to try for the holidays! 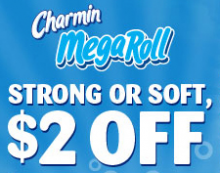 Charmin will be giving away a $2 off Charmin MegaRoll coupon at 4pm PST. Head over to Facebook and “Like” Charmin to get your coupon. As we all know, these coupons go very quickly and you need to be there right at 4pm to get one. If you miss it today, they’ll do it again tomorrow at 6pm PST. Coupons Dec 19, 2011 in Charmin, Facebook, household · Expired! I was really excited to see HoneyBaked coupons in last Sunday’s paper but for those of you who didn’t get it, you’re in luck. 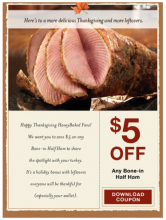 There is a $5 off ANY 1/2 bone in ham coupon available on Facebook. This is a much better coupon if you are looking for a small ham! Head over to HoneyBaked on Facebook and grab this coupon while it’s still available. Offer good now through November 30th. 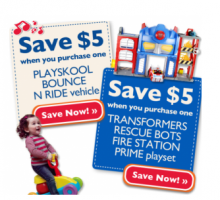 Coupons Nov 11, 2011 in BlackFriday, Facebook · Expired! Head over to Scotch Brite on Facebook now! 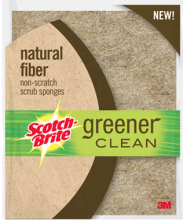 If you “Like” them, they’ll give you a coupon for a FREE Scotch Brite Greener Clean Pad. This offer is live right to the first 100,000, so hurry over and get your coupon! Ok, If you were around for the last time Bounty did this you know it was a nightmare! However, a $5/1 Bounty coupon is a really great coupon! If you have the time and patience, head over to Facebook and “Like” Bounty. At 10:00am they will be giving out the FREE Bounty coupon. This is going to go fast as they are only giving out 5,000. 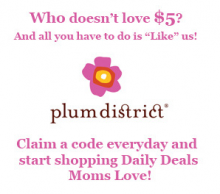 Coupons Nov 3, 2011 in Facebook, household · Expired!